Happy Friday. We need a little extra good news since Netflix dropped news of their cancellation of One Day at a Time this week. 1. 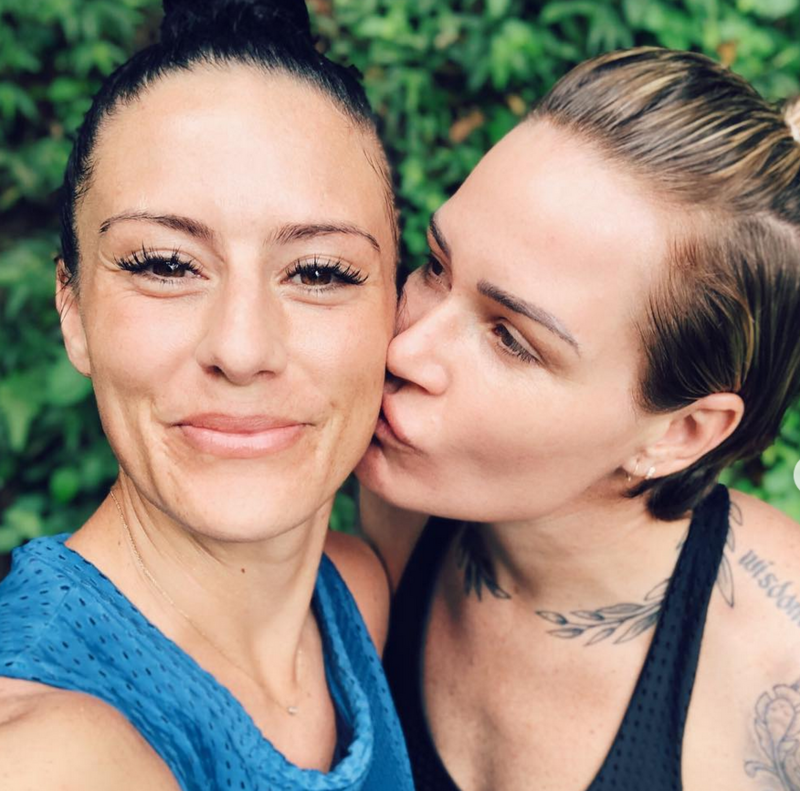 National Women’s Soccer League players Ashlyn Harris and Ali Krieger are engaged. It’s the Bend it Like Beckham sequel we all deserve. Orlando Pride players, Harris and Krieger have had fans speculating for years, but lately, the two have been more open about their nine-year relationship. Harris popped the question and the two told their story to People Magazine this weekend. Congrats! 2. Passage The Series gets its first teaser. This sci-fi webseries, created by Hillary Esquina, won Tello Films’ Pitch to Production competition at ClexaCon. It’s coming full circle and the first two episodes will debut at this year’s ClexaCon. 3. Queer holiday rom-com Season of Love in the works and needs your help. Kat Trammel‘s Season of Love won another Tello pitch contest and crowdfunding has just launched. The film “follows the lives of three very different queer couples in dealing with their love lives in various interrelated tales all set during a frantic time before Christmas through New Years.” If you long for a holiday film that reflects your community, consider checking out the campaign. 4. Out Youtube star Lilly Singh scores a late-night talk show. Big congrats to Lilly Signh who will be taking over Carson Daly’s spot on NBC. Signh, who came out as bisexual last month, has been a Youtube star for nearly a decade and will be one of the few women to host a late night show. 5. Booksmart stars a leading lesbian character. The teen comedy, starring Beanie Feldstein and Kaitlyn Dever, is directed by Olivia Wilde and made its premiere at the SXSW festival this week. Dever and Feldstein play best friends, one gay, one straight, who realize at the end of their high school experience that they’ve never really let loose and broken any rules. The trailer is definitely NSFW.